Mayor George Ferguson has divided opinion with a rapid roll-out of residents' parking zones and now risks further anger by removing the 500 spaces. A controversial plan to end free parking on Bristol's Durdham Downs has been criticised by the area's MP. Charlotte Leslie and two local councillors say Mayor George Ferguson's plan to remove 500 spaces will outrage residents and commuters who are already opposed to Residents' Parking Zones. New plans to severely restrict parking on Bristol's historic Downs have been revealed. 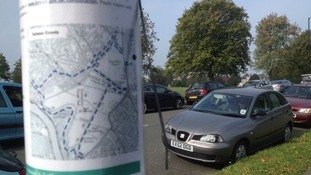 All-day free parking on Bristol's historic Durdham Down could be abolished. It's the latest controversial attempt to cut down on commuters using the city's streets. Mayor George Ferguson has divided opinion with a rapid roll-out of residents' parking zones and now risks further anger by removing the 500 spaces. He insists it's for long-term good of the city.